Unfortunately, due to unexpected family activities I was not able to be QRV during almost all my stay in SP. But I´m happy to get a contact with Marcel SP2HMR living in Gdansk, JO94HH. During my last two days stay here we tried to get a tropo QSO on 3cm. Marcel has very restricted QTH so on both side recived nothing. Today late evening came possibilities for RS QSO and we did it very easy. 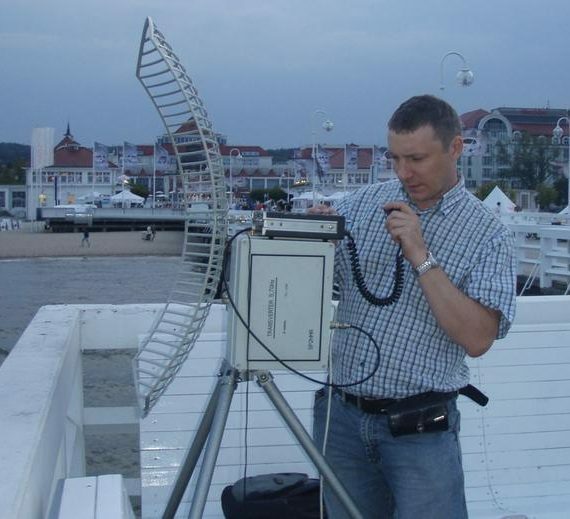 See link to my CQ recorded by Marcel SP_LA4YGA on 3cm RS . I hope for personal contact next year. Thanks so far Marcel for QSO and phone contacts, see you soon !.